Nokia today unveiled Nokia Life+, the latest evolution of its widely-used Nokia Life service. Nokia Life+ is a free (*) Web application, which will provide millions of people with Nokia phones valuable information on education, health and “infotainment” topics. 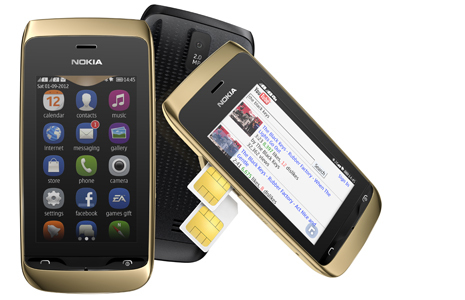 Nokia Life+ will be supported by the Nokia Asha 308 and Nokia Asha 309 smartphones alongside a wide range of Nokia mobile phones. More than 76 million people have experienced the original Nokia Life service, the world’s most popular life improvement information services suite that works across a range of basic and feature phones without the need for a data connection. The new Nokia Life+ web application builds on this success by providing an even richer web-based service through the new and improved Nokia Xpress Browser, which compresses Internet data up to 90%, resulting in more efficient web browsing and a smarter Internet experience. Nokia Life+ is now available in 18 countries (**) as a free Web application, accessible as a download from Nokia Store or from the Xpress Browser. Life+ is now available in English with two services – ‘Life Skills’ and ‘Live Healthy’ – with more services to be added over the coming months. Life Skills is aimed at younger consumers, providing content on how to develop interpersonal skills, build self-confidence, acquire financial literacy or prepare for a job. Live Healthy offers consumers and their families a range of tips and trivia touching upon nutrition, hygiene, staying fit and prevention of common illnesses. Later this year, local versions of Nokia Life+ will be available in India, China and Indonesia, providing consumers with a truly localized mobile Internet experience. Nokia Life+ is supported by an ecosystem of reputable global and local content partners who carefully tailor information specifically for the services. These Nokia Life+ partners include Reader’s Digest, Foundation for Social Change, FKUGM, Detik.com, Cita Cinta, GADIS, Gamatechno, Sygma, Ayahbunda, Madison Research, EnableM, Sina and iMedia. Finally something new for this dead OS.